Sleek, clean lines, and quality design made in the USA make this modern adjustable lounge a beauty with many color options! The modern adjustable lounge is a clean modern design and part of the Etra collection. This stylish Etra lounge comes with an option of a stainless steel frame or a powdercoated steel frame in silver. 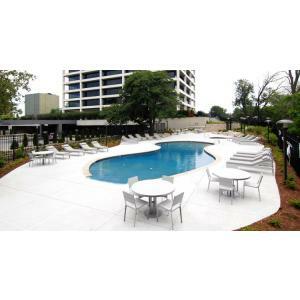 The surface can be ipe wood or marine-grade polyboard with various color options shown below. 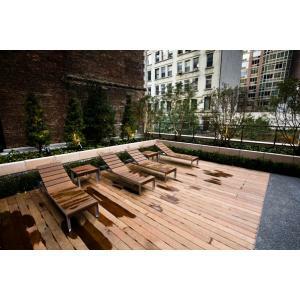 Ipe wood is an extremely durable and solid hardwood, great for outdoor use – it is in many ways superior to teak. Ipe has a tight grain and a natural reddish brown appearance. Of its many properties, it is rated at a 25 year life outdoors, is Class A fire rated, and it is so dense that it sinks in water. Cushions are also available and come in a full body chaise cushion (with headrest) or the headrest can be purchased separately. 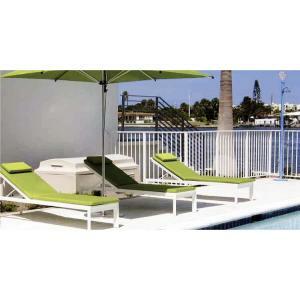 Cushions are made of durable outdoor fabric and are available in various colors. The Etra collection is quality made for outdoors with flawless details. Outdoor furniture must be made to withstand the elements, and the craftsmen of these quality pieces know what they are doing. 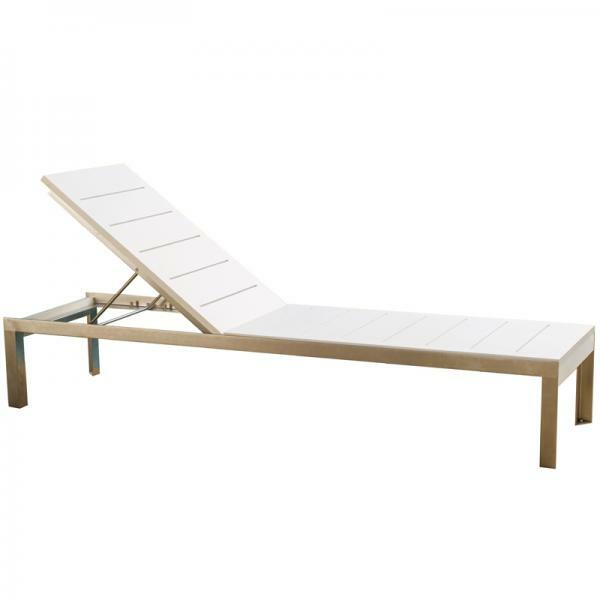 This modern adjustable chaise will last a lifetime. High-grade brushed stainless steel or powdercoated steel. Ipe wood or polyboard surface in various colors. 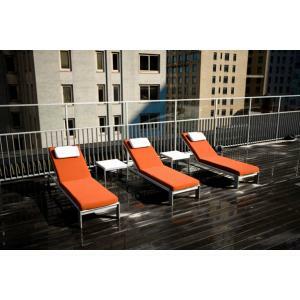 Cushions in 100% solution died acrylic outdoor fabric with high density flexible polyurethane foam. We offer custom fabric and COM options - please inquire. 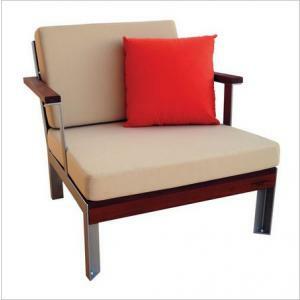 80" long x 22" wide x 35" high adjustable backrest, seat height 13.5"